Take my word for it, the sometimes frantic pace of the holiday season affects even those of us who think we are ‘getting away from it all’ here in the quiet of the Adirondack Mountains of New York State. Although I do not expect to hear many expressions of sympathy when I suggest the holiday pressure is actually worse for me because I have skiing obligations, this is indeed the case. 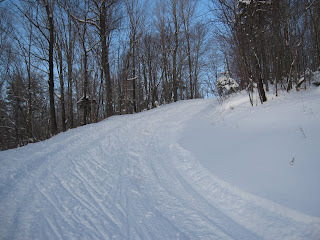 The rationale goes like this: Adirondack skiers endured a dismal fall ski season. There is plenty of snow on the ground right now and more falling from the sky. 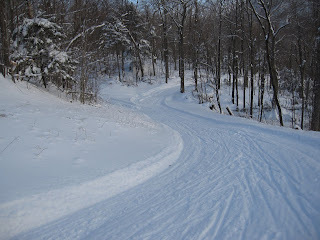 No one knows what tomorrow may bring, so despite the self-imposed holiday guilt, ski I must. I believe I’ve reached a good compromise solution with myself however. I mix in a little (or maybe a lot of ) ski time between the baking, decorating, gift making, partying, and working, and everybody is happy.